Welcome back, Justin Thomas. Glad your summer doldrums didn’t last too long. 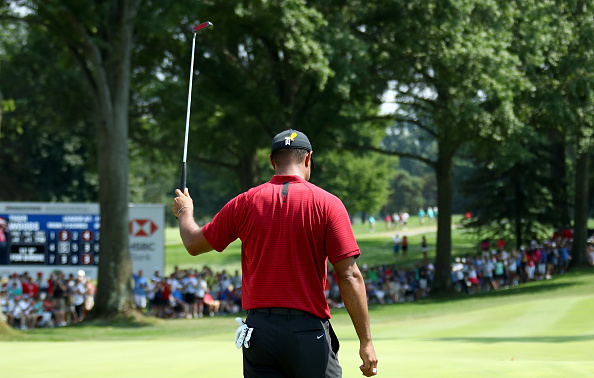 Meantime, Tiger Woods’ last fling with Firestone just didn’t have the same spark. 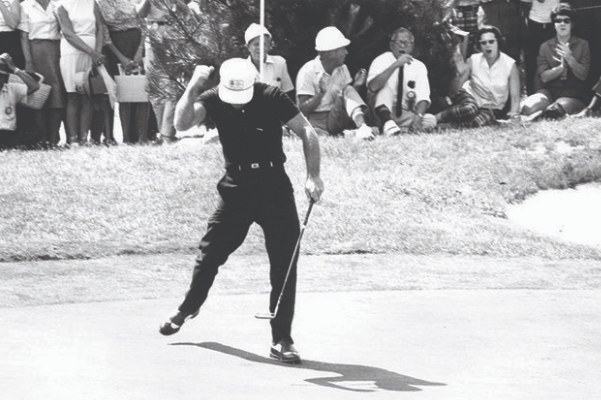 On to Bellerive, where Gary Player’s solid play – and good works – still resonate after 53 years. Plus, The Starter is bullish on the LPGA’s breakout European. 1. Justin Thomas runs away with his first WGC crown. Interestingly, the 25-year-old pro hadn’t posted a top-5 finish anywhere since the last WGC event – the Match Play back in March. Now he’s well positioned for a PGA Championship defense on a Bellerive layout styled much like Firestone. 3. Georgia Hall’s first LPGA win comes in her home major. The 22-year-old English pro outdueled Thailand’s Pornanong Phatlum at the Women’s British Open, becoming the first home-nation golfer to triumph since Catriona Mathew in 2009. Born in April 1996, she got her name from Nick Faldo’s Masters win. Where: Town and Country, Mo. The PGA Championship marks the final event in the points race for the U.S. Ryder Cup team, with eight automatic qualifiers locked in after the final putt drops at Bellerive. 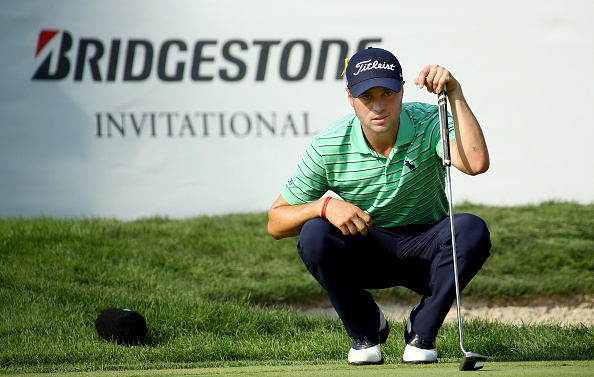 Justin Thomas became the fourth to lock up his spot with Sunday’s win at the WGC Bridgestone Invitational. That leaves four at stake, though it’s fair to say Bubba Watson, Jordan Spieth and Rickie Fowler are all but confirmed. The focus zooms to No.8, where Webb Simpson seeks to hold off a late charge from Bryson DeChambeau, Phil Mickelson or perhaps a longshot winner. Under the U.S. points system, major championships are worth 1.5 points for every $1,000 in earnings. That means DeChambeau has to earn $32,635 more than Simpson at Bellerive to grab the final spot. Mickelson needs $157,106 more than Simpson, and $124,472 more than DeChambeau. The PGA Championship winner, by the way, gets double points. That opens the door to a Hail Mary effort from as far down as No.61 Austin Cook, if many other dominoes fall into place. Europe’s points system still has four weeks to run, ending Labor Day. That allows it to factor in the first two FedExCup playoff events and/or European Tour stops in Sweden, Denmark and the Czech Republic. Stay tuned. Since 1934, only 11 times has anybody won a PGA Tour event and followed a week later by capturing a major title. 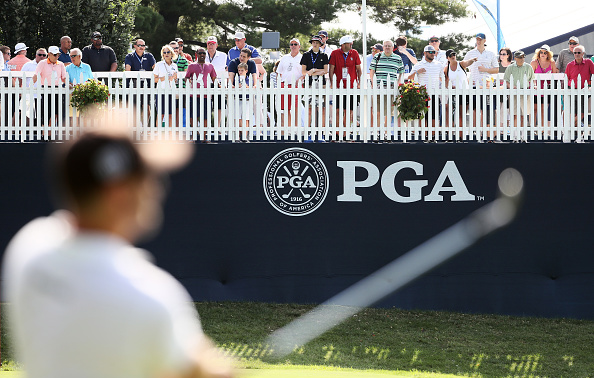 That said, two have come in the past dozen years since the WGC Bridgestone served as a PGA Championship lead-in. Tiger Woods (no surprise) was the first to do it, when the coupling was introduced in 2007 as part of a shuffle to accommodate the new FedExCup playoffs. 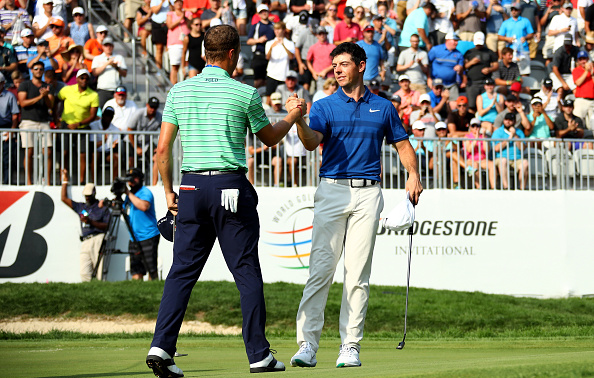 Rory McIlroy duplicated the feat in 2014, on the way to winning the PGA at Valhalla. For what it’s worth, Woods also twice went back-to-back in reverse when the WGC Bridgestone followed the PGA Championship in 2000 and ’06. When the 1965 U.S. Open came to Bellerive, this long, risky par-3 – though not the layout’s longest – played to an astonishing 4.03 stroke average. 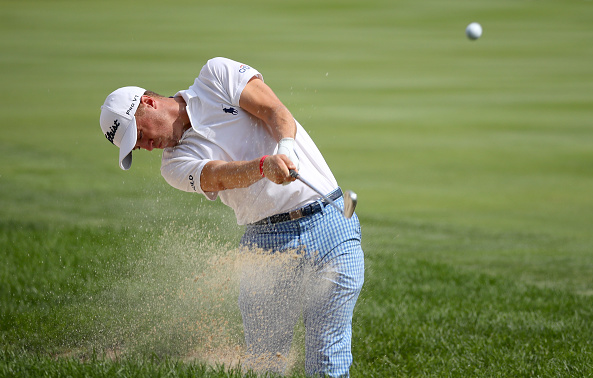 In the first two rounds alone, No.6 was responsible for 14 triple bogeys or worse. A new generation of players and equipment have mitigated that kind of bite, but the risk/reward factor at No.6 still produced nearly twice as many double bogeys and worse in the 2008 FedExCup playoffs as any other hole on the property. Keep in mind, too, that it’ll probably be set up somewhat tougher with a major championship at stake. “If our fans want to see good challenges and potential train wrecks, that would be the hole to see,” said Bellerive head professional Mike Tucker. Tee shots must carry a pond to a diagonal green, with bunkers placed left of the green’s front and behind on the right. The green used to be larger, but was scaled back in front without losing a good pin position. The green also has a swale across the middle, which could make for some excitement if the setup team opts for a pin position there, allowing balls to funnel toward the hole. Should Jordan Spieth become just the sixth man to complete the career Grand Slam, he won’t be the first to do it at Bellerive. That distinction belongs to Gary Player, who accomplished it when the U.S. Open came in 1965. It was an anything-but-ordinary Open from the start. Breaking with its custom of taking the Open to historic layouts, the U.S. 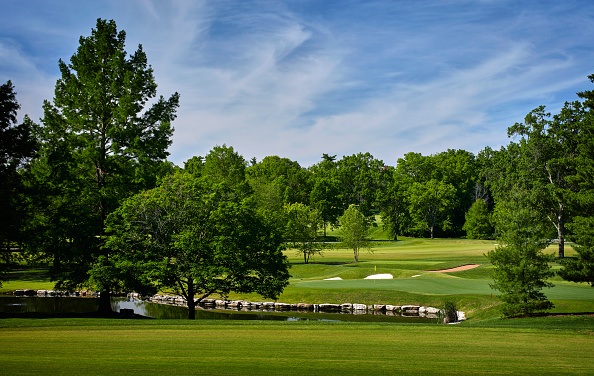 Golf Association chose 5-year-old Bellerive as host. It also was the first Open scheduled over four days, as opposed to a 36-hole Saturday that nearly left winner Ken Venturi with heatstroke one year earlier. And though Bellerive was the longest Open venue to that day – 7,191 yards – both Venturi and Arnold Palmer missed the cut. Jack Nicklaus made the cut on the number and was never a factor. It wound up coming down to a pair of shorter-hitting internationals in South Africa’s Player and Australia’s Kel Nagle. Player led by two after 54 holes and took a three-shot edge to the final three holes – but a double bogey at the par-3 16th and Nagle’s birdie at No.17 tied it. A Monday playoff was set. The playoff never was all that close. Player birdied three of his first eight holes, while Nagle was wild off the tee and missed four short putts before getting to the turn. Player cruised by three. The Black Knight became the first non-American to win the Open since Tommy Armour in 1927, adding the trophy to those won at the 1959 Open Championship, 1961 Masters and 1962 PGA Championship. Player celebrated his milestone by giving away everything but the trophy. Making good on a plan he’d promised himself three years earlier, the South African donated his entire $25,000 winner’s earnings to charity. He returned $20,000 to the USGA to help develop junior golf, with the other $5,000 given to the American Cancer Society. Player lost his mother to cancer when he was just 8. 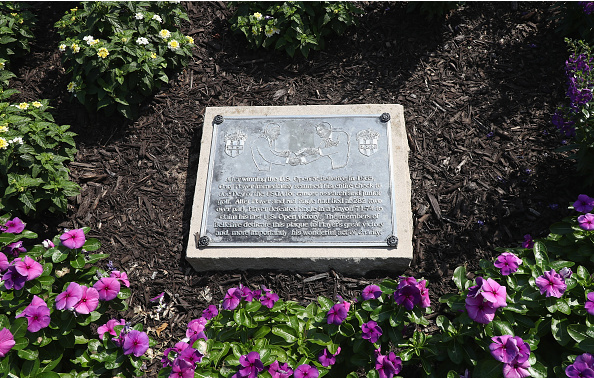 The charity concept was borne out of the 1962 U.S. Open, when Player entered the final round two shots off the lead but missed chances led to a closing 74. 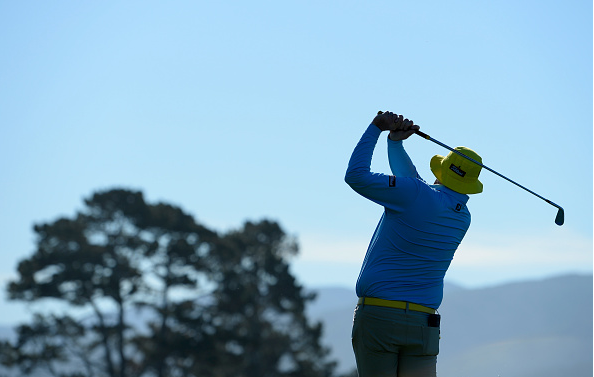 The PGA Tour was shaken last week with news that popular Australian pro Jarrod Lyle no longer has the strength to fight a third battle with leukemia. Lyle survived two previous battles with leukemia – first as a teenager – only for the disease to come back. He earned his way to the PGA Tour after his first bout and was enjoying a career year in 2012 when the disease returned. He tied for fourth at Riviera about a month before the first recurrence was diagnosed. 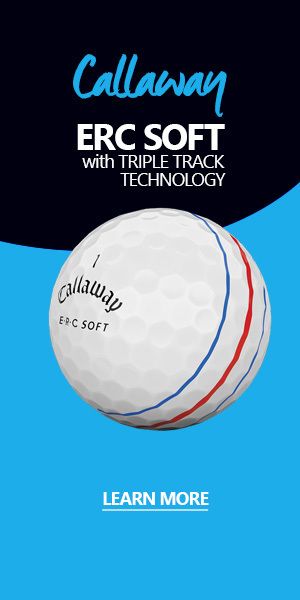 He teed it up 41 times worldwide in a comeback effort before the third bout began. PGA Tour pros donned small yellow ribbons at the WGC Bridgestone Invitational and Barracuda Championship as a show of support of Lyle. 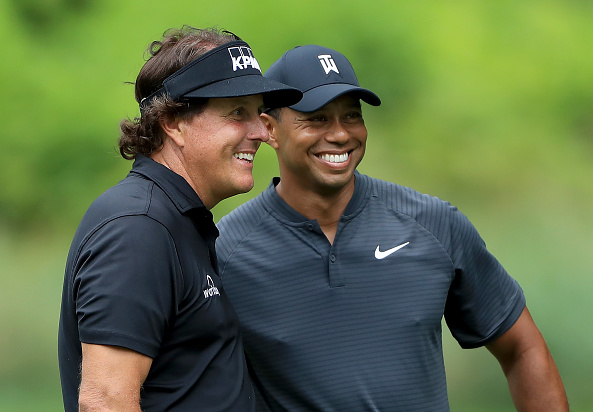 The much-ballyhooed $10 million Tiger Woods/Phil Mickelson showdown finally has a date. Or at least a weekend. Mickelson confirmed the match will be played Nov. 23 or 24, with Las Vegas’ swanky Shadow Creek Golf Course serving as the site. No details yet on who might televise it – college football dominates both days, which might make NBC/Golf Channel the frontrunner. Golf fans had high hopes for Tiger Woods last week. He was an eight-time winner at the WGC-Bridgestone, and had contended at The Open Championship at Carnoustie in his previous start. Tiger gave himself a shot by opening 66-68, but got knocked way off the pace with a third-round 73. His fourth round? Mostly terrible. Still, Tiger managed a feel-good moment at No.18. After a serenade of “Thank you, Tiger” as he approached the green, he managed a goodbye birdie with the pin in nearly the same spot as his clinching birdie in 2000. “Oh man, I’m going to miss this place. I’m going to miss playing here; I’m going to miss the people. I’ve had so many great memories and it’s just sad that we’re not coming back here anymore. … The guys that I grew up playing against are going to be playing here next year. We’ll see how they play it,” said Woods.